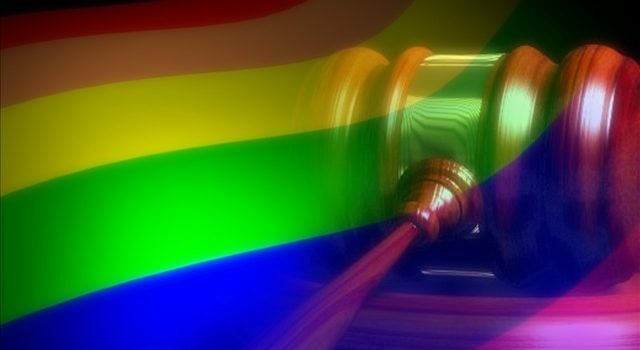 A pair of LGBT activists on Tuesday filed a lawsuit against Tennessee Gov. Bill Haslam, challenging a recently enacted law that allows therapists and counselors to decline to serve gay clients when doing so would violate their sincerely held beliefs. There is one problem with this claim. What about the rights of those with truly held Christian beliefs that forbid them from being party to sin in God’s eyes? Do they lose their rights because they chose to feed their family? Where is the division between Minority rights, and those of the people who have a career, or small business? This is not the first test of tests to prove a difference in Bigotry or following Christ. A cake bakery, a pizza shop, and others have felt the brunt of a Federal AG that shows biased towards gays over Christians and puts the desires of the LGBT in front of the teachings of the Judeo-Christian religion. Let us not forget the level that Muslims are taught to handle the LGBT society while we discuss this. IF the Liberal leaning society, which also embraces anything LGBT over anything Christian, also embrace Islamic principles, so it is to cut their nose off to spite their faces. And Mr. Copas, a Tennessee counselor, said the law is discriminatory and sends the wrong message to “an already marginalized group of Tennesseans.” Marginalized? Where would such an evil idea come from other than the majority of liberal thinkers? The LGBT is not marginalized, except in their own minds at this point in America. Neighborhoods, government, and businesses have accepted the diversity with open arms, but also believes that those who do not portray hatred towards the LGBT community have the right to their religious beliefs and should not be marginalized by the LGBT community. This is the Chicken crossing the road before the egg is hatched or the kettle calling another a kettle the same. We need to stop marginalizing American’s religious beliefs, if and when it has no true detriment to a community. There were still other bakeries, other pizza shops, and other counselors that the LGBT can frequent, utilize, and pay for services at. No, this is not marginalization of the LGBT, but a war being waged against Christians. Anyone who cannot see this truly has not looked into the events. We look at these minorities as demanding foolish, non-logical, and dangerous laws to cater to their whims and wishes. As Martin Luther King asked for, marched for, and died for…Do not judge on the color of my skin, but the color of my character. The same needs to be placed upon the LGBT community, and no longer should America run from reality, and stop and demand that each and every LGBT member is judged on their character and substance, and not on what the LGBT wishes. No longer should a small business owner, or a therapist or counselor be threatened into either accepting what goes against their religious beliefs, or lose their business or be fined, but the LGBT must prove without question that there is not another option available to them. No longer should we put our little girls at risk for the “I feel like a woman” society of men and no longer should LGBT be the determining factor in any decision, other than that of religion, same as it is for adultery, and other items that a religion may teach. The argument is not which religion to follow, which is plain. America was founded on Judeo-Christian beliefs and it needs to keep that standard in all laws that “must” be pushed onto Religious people. America does not need to become a Sodom and Gomorrah. America needs to stay within the compounds of the constitution, and the founding father’s basis for such idealism. All American’s deserve the right to the pursuit of happiness, but not at the demise of others to give to a specific lobbyist or group.